Make the world a better place. Make photographs by hand. With film. Using an obsolete camera. Black and white 127 update: Rera Pan is apparently available again as an ISO 400 film. I hope to get some soon. Color 127 update: The manufacturing machinery for this film is almost ready. Until it is fully productive, supplies will be limited and offerings will be infrequent. When all the machinery has been updated, both color and black and white 127 film will be back in production regularly, and there should be no shortages. I believe 127 will be regularly available again by mid-March, 2019. However, at this time it's not possible to set a date for regular production to resume. The Brownie Starflash pictured here is typical of the fun, easy-to-use '50s-'60s cameras that perform well with our 127 films and M2B flash bulbs. This film has perforations on one edge. Please read the details before you order (click the link below). Currently out of stock. You can place an order for delivery when stocks are refilled. No need to pay in advance — choose "purchase order" as your payment option. Estimated shipping date: mid-March, 2019. Bluefire® Murano 160 is the best choice for simple, single-speed cameras. 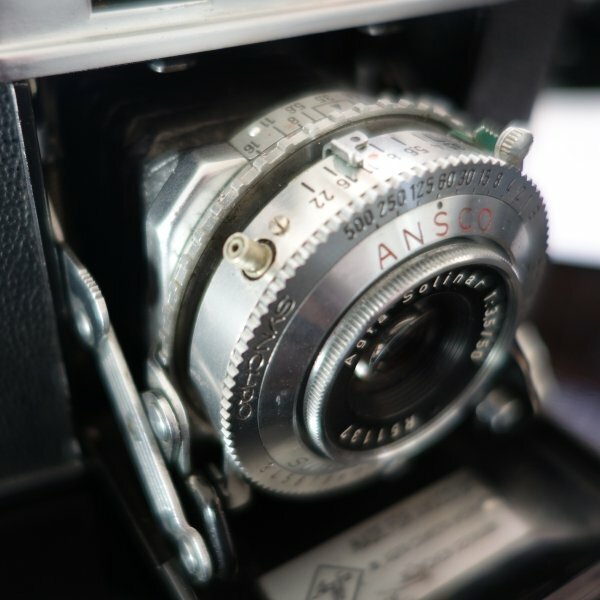 All of the 127 films offered here work well in sophisticated cameras with adjustable shutters and lenses. 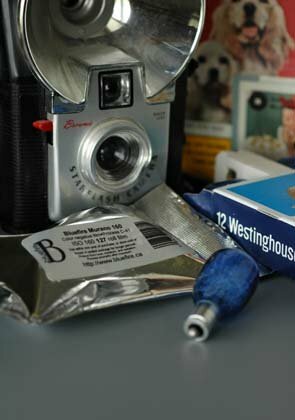 Kodak's Pocket Instamatic film was widely available from 1972 until the late 1990s. Cameras using this film vary from basic and inexpensive, with primitive lenses, to sophisticated and highly capable, with sharp, fast lenses. If you want a pocket full of photographic dynamite, find a good quality Kodak, Canon, Minolta, or other 110 camera on your favorite auction site or at your local thrift store, and order a supply of our inexpensive outdated 110 film for experimenting. 110-24 Quality brand, ISO 200 color film made by Agfa. New old stock. Kodak, Fuji, Agfa, Konica and Ferrania all made excellent 110 films and sold them under their own brand names. 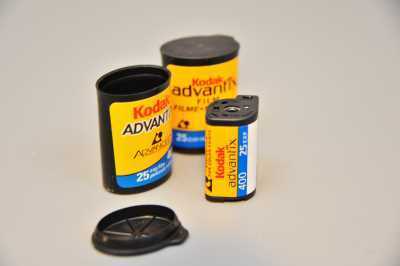 All except Kodak also packaged them for mass-market retailers as "house brand" films. How good is 110 film? 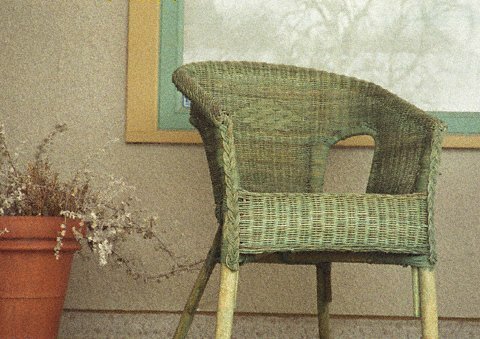 Check the rendition of detail in this image, photographed with Fujicolor 110 using a Pentax 110 SLR camera with a 50mm lens. APS cameras are very easy to use, and often are well-designed with excellent lenses. There's no good reason for that one in your drawer to stay there. Very few photofinishers charge a premium for processing APS any more. Test your camera with a cartridge or two of our outdated Kodak 400, and have the lab print it as black and white. 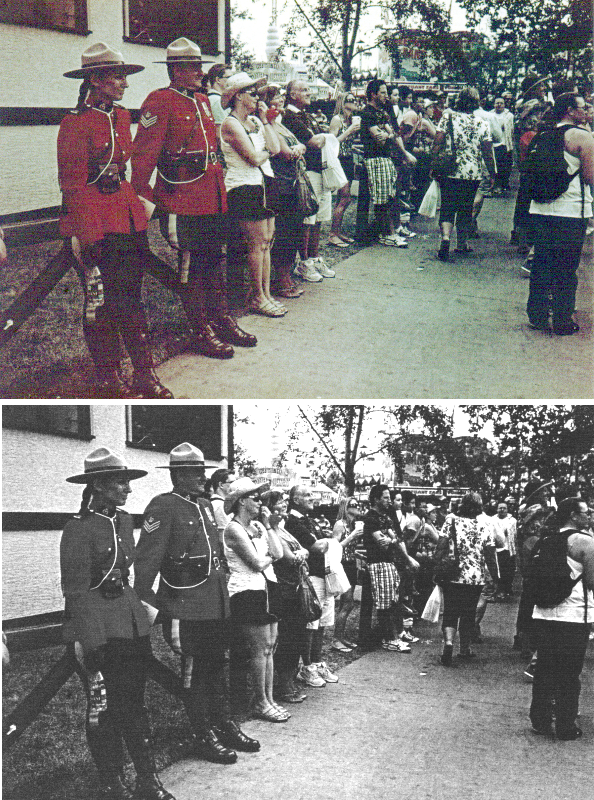 This outdated APS film's color and contrast has deteriorated. Printing it as black and white snaps it back to life. For that unbeatable retro 1950s-1960s look, you need the long duration and unique color temperature of a proper flash bulb, flash cube, flash bar, or flipflash. And we have them in stock. Magicubes have an X-shaped post (which is why they are also known as X-cubes) with a square hole. There are no wires because no battery is needed to flash them. 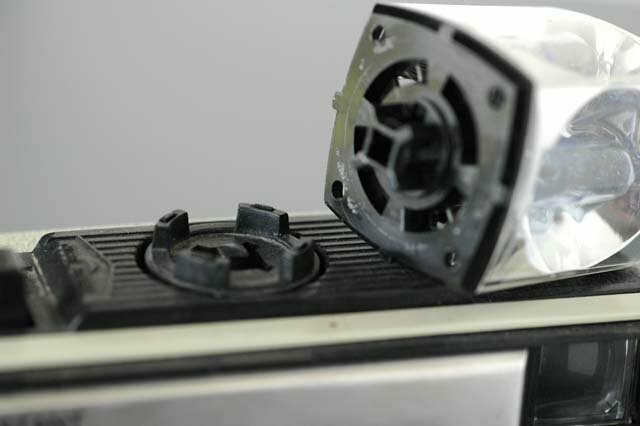 If your camera has a socket like this, with a square post, it uses Magicubes. Flash cubes have a round hole and electrical contacts. If your camera uses a flash battery, and has a round post, it uses flash cubes. Light-proof film changing bag, 17 x 17 inches., suitable for loading the processing tanks offered here, or for clearing film jams in 35mm, 110, and small 127 cameras. Light-proof changing bag, 27 x 30 inches, for handling sheet films and loading large processing tanks outside your darkroom. Use a good thermometer and keep solutions at the correct temperature for consistent results. A processing tank, thermometer, and dark-bag are all you need if you don't have a darkroom available. The AP tank's film reels are very easy to load, thanks to their broad thumb flanges. 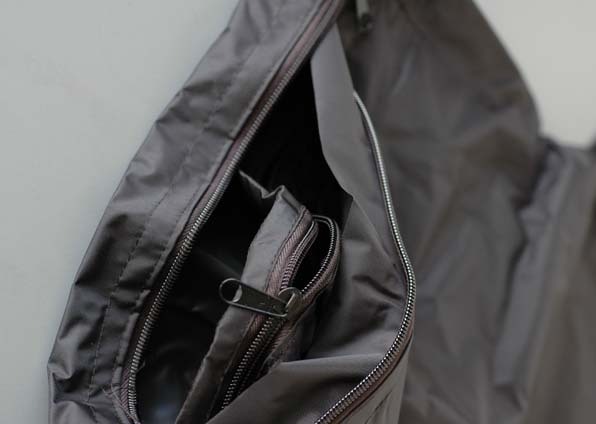 Your dark-bag's durable, double-layer construction makes it light-tight, even in the field. 127 film was introduced in 1913 by Eastman Kodak, along with their Vest Pocket Kodak camera. Kodak discontinued 127 in 1995, and the other major manufacturers soon followed. 127 film is 46mm wide, carrying a 4cm square, or 4x6cm image, depending on the camera. Most cameras mask the image down to about 36mm in width. Bluefire®brand color films are spooled onto new spindles, with new backing material, using Kodak or Konica professional films originally packaged for long-roll cameras. They are processed in standard C-41 chemistry. Any processing machine that can develop professional medium format roll films can develop 127 films. Your local lab will probably be able to develop your film, but may not have the specialized lenses and masks needed to make inexpensive machine prints. You should probably plan on scanning your negative on a flatbed film scanner, and printing the scans at a photo kiosk or at home on your inkjet printer. Bluefire Pan 400 is Ilford HP5 assembled into 127 rolls in our workshop. Most photo labs can develop it for you, and it can easily be developed at home with a minimum of equipment and inconvenience. Unless you own an enlarger, you will probably have to scan your negatives in order to print from the scans. 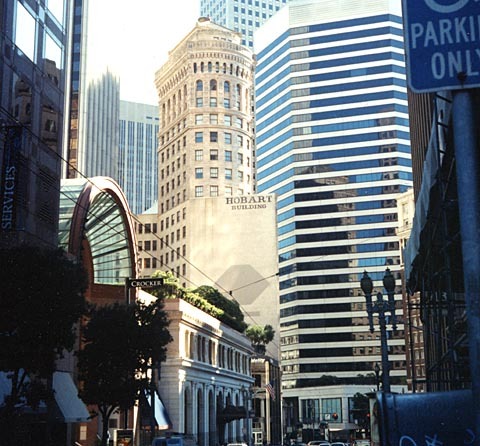 The Hobart Building, San Francisco. Photographed with Bluefire Murano 160 film in a Yashica 44 TLR. Select Bluefire Murano 160 for simple cameras. Use flash when taking pictures indoors or in deep shade. In adjustable cameras these films are suitable for most lighting conditions. In cameras with adjustable shutters and f-stops, Bluefire Murano 400 and Bluefire Pan 400 can be used in low light levels without flash. The 110 films we sell will fit any camera designed for the Kodak 110 "Pocket Instamatic" cartridge. 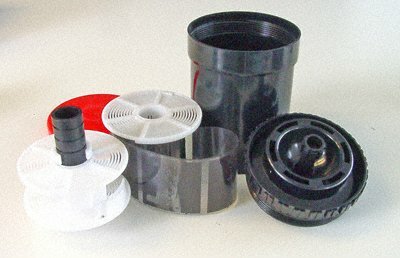 Most film labs are able to develop 110 film, but few will still have the special masks and lenses required to print it. You should plan on scanning your negatives, and then printing the scans at a photo kiosk or at home on an inkjet printer. 110 negatives are tiny, only 12x17mm, approximately 1/4 the area of a 35mm frame. Photos made with low-end cameras rarely enlarge well beyond about 4x6 inches. However, the film itself is capable of holding excellent detail, and images made in capable high-end cameras, like the Kodak Instamatic 60 or Canon 110 11E, can be surprisingly good. Several excellent 110 SLR cameras made by Minolta and Pentax are also capable of truly excellent images. There is no truth to the Internet superstition that 110 cartridges fail to hold the film flat. In fact, the cartridge is superbly designed and engineered and holds the film perfectly flat and in perfect optical alignment. These are four AG1 flashbulbs sealed in a plastic cube that mounts in a socket on compatible cameras. You get the simplicity and power of the AG1 bulb in a package that is much easier to handle and isn't as risky (bare flashbulbs can burn you, or shatter when ignited). Your camera manual will tell you what kind of cubes to use, and how to use them. Several thousand legacy camera manuals are online at Orphan Cameras. You can download manuals without charge, but I encourage you to donate to help support the site. 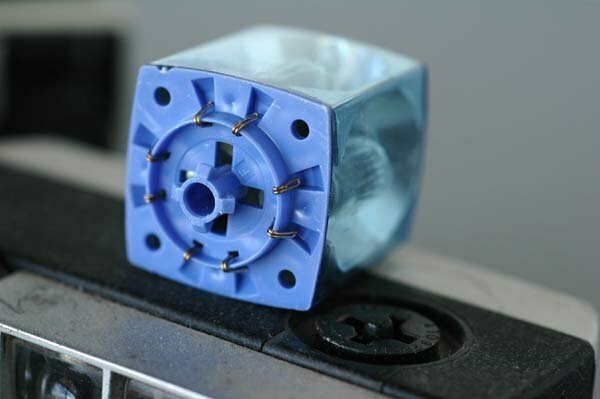 Flashcubes are ignited by a battery, and have conductive wires visible on the socket. Magicubes do not need a battery and no wires are visible. Pay attention to the instructions on the package, and you should be able to get well-exposed negatives, neither too harsh nor too dim. Like AG1 bulbs, cubes only illuminate out to a few feet, so it is pointless using them in a stadium or at a concert. Magicubes require no battery to flash, relying instead on a mechanical linkage in the camera applying force against a piezoelectric igniter mounted in the magicube body. My understanding is that Magicubes were only manufactured using blue-colored bulbs, which makes them suitable for either black and white or color films. Your camera manual will tell you what mechanism it uses to rotate the cube after each bulb is expended. Some require you to turn the cube, others turn it automatically. An excellent source of legacy camera manuals is Orphan Cameras. You can download manuals without charge, but I encourage you to donate to help support the site. Like Magicubes, these are four AG1 flashbulbs assembled into a plastic cube that mounts in a socket on compatible cameras. They are ignited by a battery installed in your camera. 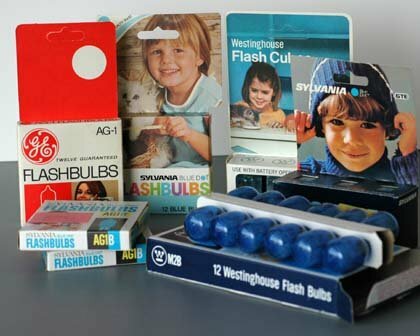 Unlike Magicubes, flash cubes are available with both clear and blue bulbs. You can use either with black and white film, but only blue bulbs will give you natural colors with color films. Your camera manual will tell you what battery you need, and the mechanism it uses to rotate the cube after each bulb is expended. Some require you to turn the cube, others turn it automatically. 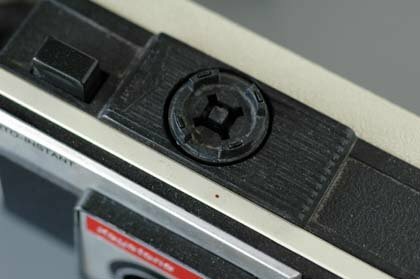 An excellent source of scanned legacy camera manuals is Orphan Cameras. You can download manuals without charge, but I encourage you to donate to help support the site. The Kodak Advantix APS film offered here is long outdated, and has significant color and contrast loss, which is why it costs so little. At this price, you can use it for experimental photography, and it's an ideal film for testing an APS camera. To get the most benefit from this film, have your local lab develop it normally but print it as black and white. You can also have the negative roll scanned, and correct the images on your computer. An excellent free program that I use regularly for photo cleanup is Paint.net, which you can download and use without payment. Bluefire® Murano 400 brand color film is Kodak Portra NC 400 that was originally packaged in long rolls, for use in a specialized long-roll camera. It has perforations along one edge. These are rectangular perforations about 1mm wide and 2mm deep, 1mm from the edge, spaced about 60mm apart. 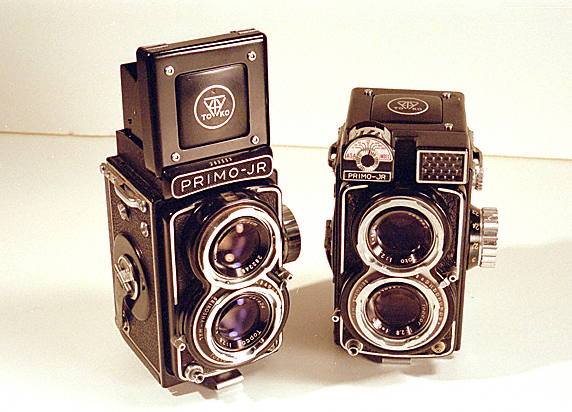 Most 127 cameras give an image 36mm wide on 46mm wide film, leaving a 5mm wide edge along the top and bottom of the image. The perforation should not intrude into your image. Most film is useful long past its printed "process-before" date. Click here to find out more. Bluefire® Police™ is a 35mm black and white film that can be enlarged to mural size with no apparent grain. I'm in the process of adding it to this new version of the web site. For now, I must ask you to visit the previous version of the site (it's not mobile-friendly) to see and buy this remarkable film: Click here to be taken back in time. Frugal Photographer's first day on the World Wide Web was September 1, 2001. It was a different world then. I got into the business because I wanted to use a very nice 127 camera I had just acquired, and the only place I could buy 127 film was from a factory in Croatia, and they wanted me to buy thousands of rolls at a time. A few years later, when they shut down, I made the decision to manufacture 127 film. Well...sometimes it's fun, sometimes it's not, but I'm still at it, with no plans to quit soon. This site is a work in progress, and if you find broken links, things that don't look right or are hard to understand, or navigation that is difficult to use, I would very much appreciate hearing from you. We do not stock and sell 35mm films because they are readily available elsewhere. Click on these links to buy from Amazon (disclosure: Frugal Photographer gets a small commission). — we do not get commissions from Blue Moon). Data retention policy: We store transaction details, including your name and contact information, for legal and tax compliance purposes, and for general business purposes. The amount of time this information is stored is not definite. None of your credit card information is ever seen by us, or transmitted to us in any form, nor is it ever stored on our computer systems — your browser sends it directly to our credit card processor, Bambora or PayPal, where it is stored on their PCI-compliant servers. Bluefire® is a registered trademark, used with permission.